New avenue: The spot-trading platform for coffee aims at ensuring 40% of growers trade on it in six months. The spot-trading platform for coffee, which allows traders make instant buy or sell decisions, will become an extension of the futures coffee contract that was relaunched on Monday. The relaunched futures contract in robusta beans, used by makers of instant coffee such as Tata Coffee Ltd, a subsidiary of Tata Tea, is designed to offer effective price risk management for stakeholders, including coffee growers, processors, traders and exporters. 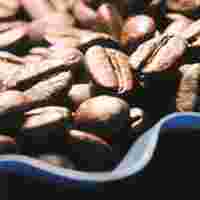 In January, the Multi Commodity Exchange of India Ltd (MCX), the country’s biggest commodity bourse, began trading in robusta coffee futures in partnership with Euronext.liffe, a London futures and options exchange. “Our aim is to ensure 40% of growers trade on the new platform in six months," said Union minister of state for commerce and industry Jairam Ramesh. MCX and the Coffee Board have set up 13 warehouses in major coffee centres such as Kalpetta in Kerala and Chikmagalur in Karnataka. “Even the smallest farmer should be able to realize at least 95% of the export price," Ramesh said here. The spot-trading platform will also help backward linkage in the coffee trading space in Karnataka and Kerala, the two states that produce more than 80% of the coffee grown in the country. Currently, trade body Indian Coffee Trade Association conducts physical auctions every Thursday in Bangalore. NCDEX has trading platforms for 52 commodities, including pepper, chilli and guar. The exchange is also working on an electronic auction platform for tea, to be launched in around six months, which is being developed by NSCIT—the information technology arm of the National Stock Exchange (which is a shareholder in NCDEX)—in association with Tata Consultancy Services Ltd.
India’s coffee production this year is estimated to be between 278,000 tonnes and 288,000 tonnes. The country earned around $408.81 million (Rs1,824 crore then) in coffee exports between October 2006 and August this year.